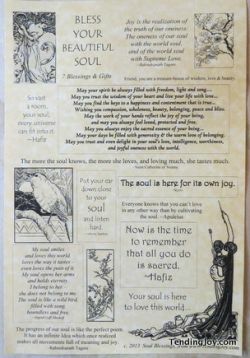 The most magical, soulful, splendid thing ever: 7 blessings and gifts, and a "Bless Your Beautiful Soul" parchment of soul wisdom, all wrapped and tucked into a golden bag. 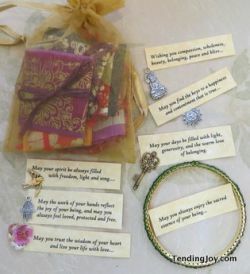 This is a lovely gift for one special person, or a sweet party celebration for soul-friends to share. 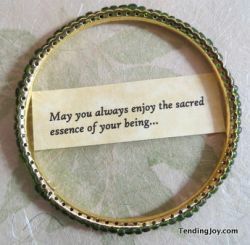 Sweet fortune-cookie sized soul-blessings, wrapped with tokens and talismans... TREASURES!